RUGBY UNION: WASPS will welcome Connacht Rugby to the Ricoh Arena at the end of August as Dai Young’s team’s pre-season schedule was released. The Aviva Premiership Final runners up will open their pre-season schedule by taking part in the Singha Premiership Rugby 7s on Friday, July 28, and Saturday, July 29. This season’s competition will see Franklin’s Gardens host the first Olympic style version of the Premiership Rugby 7s, with all 12 Premiership Rugby teams taking part across two days of action. The first fifteen-a-side game of the pre-season schedule will see Wasps travel to the Kingspan Stadium in Belfast to face Ulster on Thursday, August 17. Ulster, who finished in fifth place in the Guinness Pro 12 last season, have also been drawn in Wasps’ European Champions Cup pool for next season. 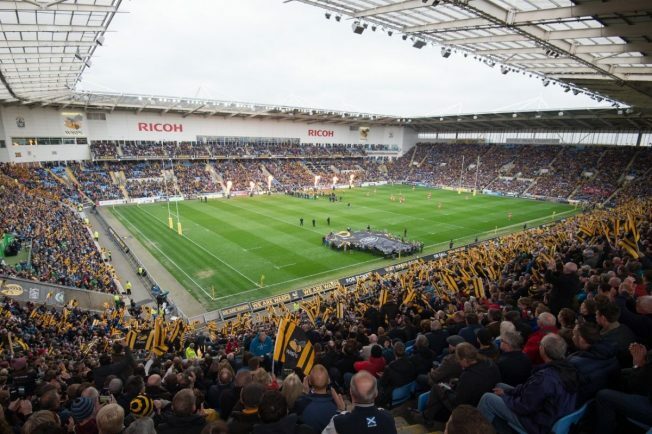 A re-match of two of last season’s European Champions Cup Group Stage games will see Wasps round off their pre-season campaign with a home tie against Connacht at the Ricoh Arena on Wednesday, August 23. Friday 28 July/Saturday 29 July – Singha Premiership Rugby 7s – Franklin’s Gardens. Thursday 17 August – Ulster Rugby – Kingspan Stadium 7.30pm KO. Wednesday 23 August – Connacht Rugby – Ricoh Arena 7.30pm KO.